On Oct. 25, Israel unmasked the identity of the Hezbollah commander in charge of the southern Syria front, and the Iranian-backed Lebanese movement reacted a day later by releasing photos taken inside an Israeli settlement. While these acts might be interpreted as psychological warfare, they inherently reflect how both sides are striving to set limits on their rules of engagement in Syria. 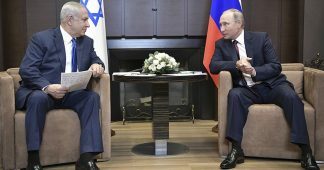 They also highlight the critical role Russia has increasingly played in preventing clashes between Israel and Hezbollah on the Golan Heights. 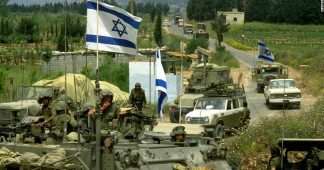 Three phases have defined the confrontation between Israel and Hezbollah in the past decade: The July 2006 war set new rules of engagement by restricting the scope of the conflict to Lebanese territory under Israeli occupation (mainly Shebaa Farms); between 2011 and 2015, the Syrian conflict expanded the battlefield and challenged the tactics of a covert war; since 2015, the Russian intervention in Syria has made Moscow the de facto power broker, containing potentially serious fallout from their enmity. In fact, the parameters of the Syrian war altered the conflict dynamics between the two adversaries. Hezbollah has acquired freedom of navigation inside Syria, and rockets fired from Syria occasionally hit the Israeli-occupied side of the Golan Heights. The Syrian regime is no longer seen by Israel as a stabilizing force able to guarantee stability on the Golan or contain Hezbollah in Lebanon. As a result, the two archenemies have had to reassess their postures, tactics and priorities. Hezbollah’s military cabal, the Jihad Council, overcame a number of upheavals, including the mysterious assassination in May 2016 of its leader Mustafa Badreddine, who had replaced Imad Mughniyeh after he was killed in 2008. In the early years of the Syrian war, Hezbollah primarily focused on opening a new battlefield against Israel from inside Syria. 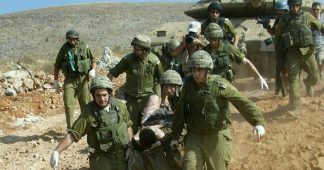 Israel responded by assassinating those charged with carrying out that mission, mainly Samir Kuntar (killed in December 2015) and Jihad Mughniyeh (killed in January 2015). Hezbollah’s reaction to these two killings was surprisingly measured, most likely at Tehran’s request, as a representative of Iran’s Islamic Revolutionary Guard Corps sits on the powerful Jihad Council. The retaliation came at Shebaa Farms, indicating that the Iranian-backed Lebanese group had opted not to change the rules of the game by targeting Israel in Syria. Hezbollah’s message was that it would avoid escalation if Israel refrained from further targeting its commanders. Indeed, the Russian role of containing any escalation between Israel and Hezbollah was a turning point in early 2016 and allowed Moscow to keep its focus on saving the regime of President Bashar al-Assad. 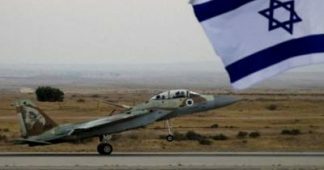 Russia and Israel reached an agreement allowing the Israelis to target Hezbollah’s arms shipments and Syrian regime forces when necessary. In return, Israel would not challenge the Russian intervention or threaten Assad’s survival. In the case of Iran, Russia offers full air support to its proxies to shape the balance of power on the ground, but Moscow still dictates the scope of these confrontations. In July, Hezbollah acceded to Russian demands by withdrawing fighters from Daraa, in southern Syria, to fight al-Qaeda along the Lebanese-Syrian border. In recent weeks, however, the Iranian-backed group sent fighters back to the Syrian desert, with Russian consent. This new development highlights that Tehran’s priority is to seize the Damascus-Baghdad highway and establish a supply line between Iran and Beirut. 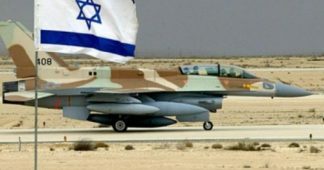 Israel’s approach has also evolved since 2011, most notably since 2016, when Prime Minister Benjamin Netanyahu shifted focus from Iran’s nuclear program to Tehran’s role in Syria. Recent developments suggest that the political and security establishments in Israel do not share the same assessment of Hezbollah’s threat. While Defense Minister Avigdor Liberman noted last month that the group was “behind firing rockets on the Golan Heights,” the Israeli army immediately downplayed the analysis. The military establishment believes that Hezbollah is primarily focused on the Syrian war, and it prefers to avoid a scenario where it shifts gears back to Israel. Despite containing a confrontation, Russia’s balancing act in the context of the Syrian conflict remains a dangerous exercise. An Oct. 16 episode is illustrative. Hours before Russian Defense Minister Sergei Shoigu landed in Israel, the Syrian regime fired an SA-5 anti-aircraft missile at an Israeli aircraft conducting a reconnaissance mission over Lebanon. 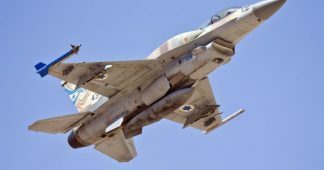 Within two hours, the Israeli army had retaliated by bombing the Syrian missile battery. Moscow’s ambiguous policy of playing both sides might lead the parties to serious miscalculations. The Israeli approach to a “good neighbor” policy, by providing aid and air support to Syrian armed groups in return for a security belt as the first line of defense, is neither effective nor sustainable. The Syrian regime shares control of the area surrounding the Golan Heights with armed opposition groups and extremist militants, which could lead to unintended escalation. As the Syrian war is winding down, a permanent agreement on who will ultimately control the Quneitra area will become necessary. Once the race to control the Iraqi-Syrian border crossing concludes in Deir ez-Zor, Russia and the United States will have to normalize the de-escalation zone in southern Syria. The situation will require more than the current Russian checkpoints deployed 8 miles from the demarcation line between Israel and Syria. Israel’s unmasking of Munir Ali Naim Shati, also known as Hajj Hashem, was a warning shot in the absence of a channel for reducing tensions with Hezbollah. While it is hard to envision how both sides can resist the temptation of clashing in Syria in the long term, Russia will have to try to set new rules of engagement, or the next war will do so instead.